We are very excited to announce the affiliation of Aikido of Salt Lake with the Maruyama Institute of Aikido! We received formal notification from Maruyama Sensei on Jan. 16, 2017, that the Hombu International Department (Aikido World Headquarters) had given him permission to include an affiliate in the United States. Aikido of Salt Lake is the first Maruyama Institute affiliate outside of Brazil. So what does this mean for Aikido of Salt Lake? 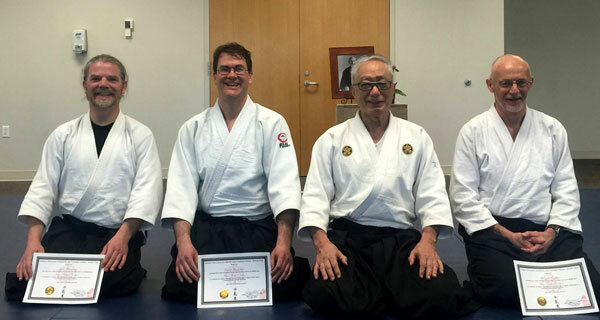 It means that Maruyama Sensei can lead our group, share his teachings, and award kyu rank advancements for our dojo through his organization. It also means that he can test our students for dan (black belt) ranks and submit the dan rank advancements directly to Hombu for enrollment. We would like to express our deepest gratitude to Maruyama Sensei for allowing us to join his organization and follow his teachings. New mats for the dojo arrive!